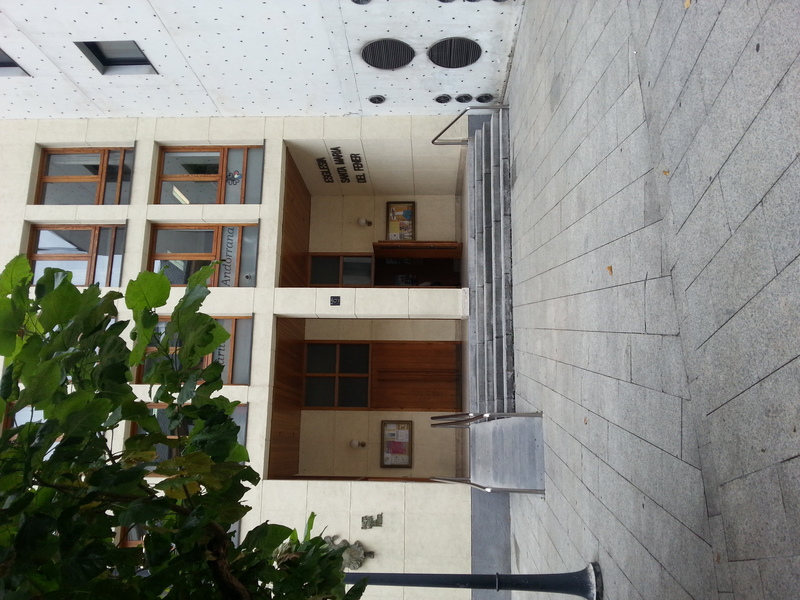 St. George’s is part of the Anglican Church and is the English-speaking church of Andorra. We welcome and invite worshippers from all denominations to take an active part in our services and everybody to both attend our services and take part in our events and activities. Until mid 2012, St George’s had always been based in the Comu of La Massana, and used various churches that were made available by the Mossen of the parish. Most recently St George’s had been holding services throughout the year at Sant Iscle & Santa Victoria, the parish church of La Massana, situated in the old Carrer Major of La Massana. 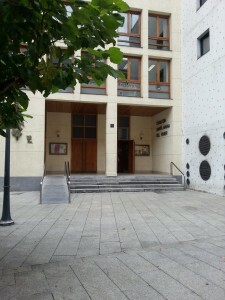 We have moved to Santa Maria del Fener, a modern church located in the heart of Andorra la Vella, where we held our first holy communion service on July 1, 2012. All our regular services are being held at this “new” church where we have been welcomed by the Mossen as visitors and worshippers. We continue, however, to hold our annual Christmas Eve carol service in La Massana parish church where we benefit from being able to use the organ. As from January, 2017, we have become a worship centre of St George’s Barcelona under the supervision and guidance of its resident chaplain, Revd John Chapman, and with his wife, Revd Deborah Chapman, taking specific responsibility for visiting us regularly as well. This change enables us to dispense with certain local responsibilities, such as appointing churchwardens and a church council, and to function with a small worship service committee and a Treasurer. The change in status will help us reach out to people in the community as we will have regular visits for longer periods from the same chaplain, who can thus get to know us and our community and help us with outreach activity. However, we have to adjust our plans to meet the availability of visiting clergy – so please do look at the calendar of events to confirm when we are holding our services! After each Holy Communion we try to organize a fellowship lunch at a local restaurant to which all are welcome (whether they have attended our service or not). After all services we organize cake and wine (or soft drinks) in the hall above the church so that visitors may get to know us and we may catch up with each other. For exact details of our services, lunches and other events in the coming months please turn to our Church Events. For a map showing how to get find Santa Maria del Fener in Andorra la Vella and for La Massana and its parish church please turn to Find Us. To find Santa Maria del Fener ask for Carrer de Sant Salvador, Andorra la Vella. It is only a couple of hundred metres from Av Meritxell as it runs up from then river towards Escaldes. As is obvious from the photo below of the entrance, this is a modern building that houses a church rather than a normal looking church! For contacts about anything we can do to help or inform you please turn to Contact. We are part of the Diocese in Europe of the Anglican Church – with our members coming from a variety of different denominational backgrounds, including Anglican (both high and low church), Congregationalist, Dutch Reformed, Lutheran and Methodist. The churches we use are accessible by the disabled. If you are bringing somebody who is disabled, please do not hesitate to stop right in front of the church to let them out – whatever the traffic may seem like, you will always be allowed to help a disabled person.